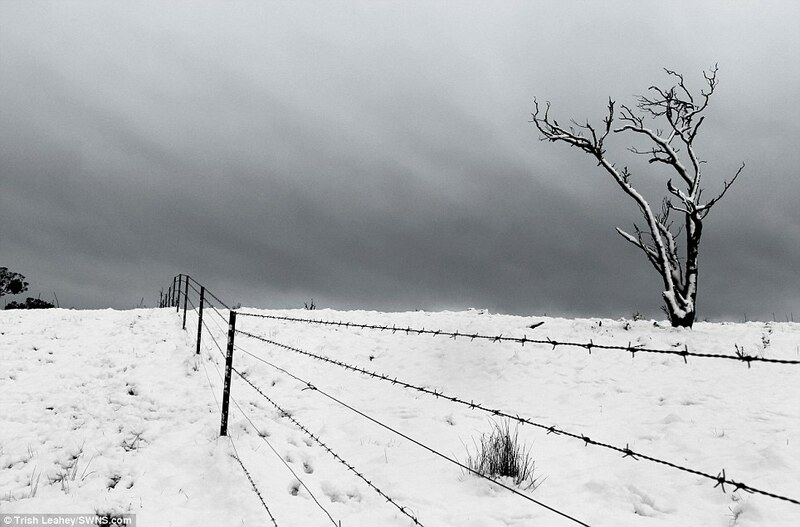 This incredible series of photographs showcases nature at its deadliest and most beautiful. 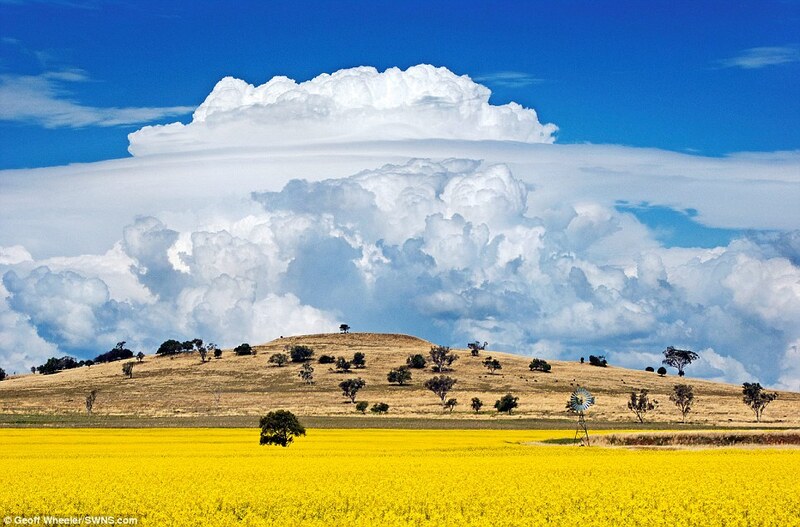 The collection was put together by the Bureau of Meteorology and Australian Meteorological and Oceanographic Society, who invited photographers to send in their best best weather pictures. 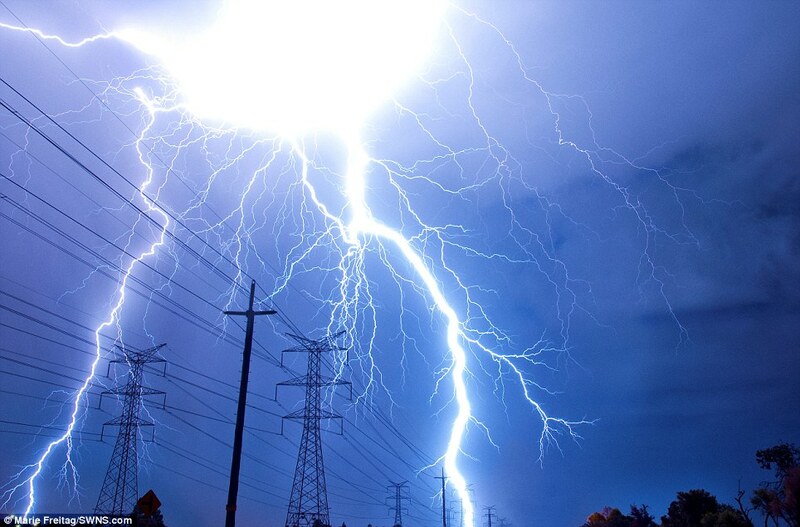 And they responded with a staggering selection of natural history shots including lightning bolts, fire tornadoes and even that rarest phenomenon in Australia – snow. 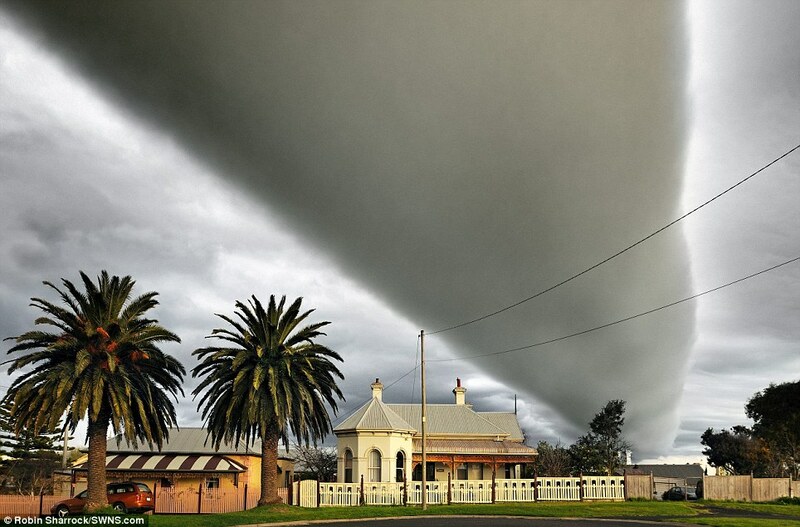 January shows a roll cloud taken over Warrnambool in south-west Victoria. 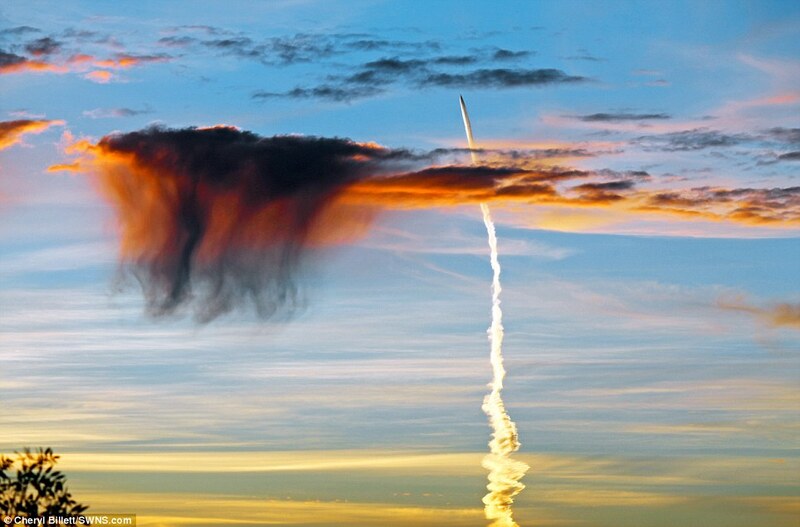 Photographer Robin Sharrock looked out his window one morning to see the giant tube shaped cloud which was forming ahead of a thunderstorm. 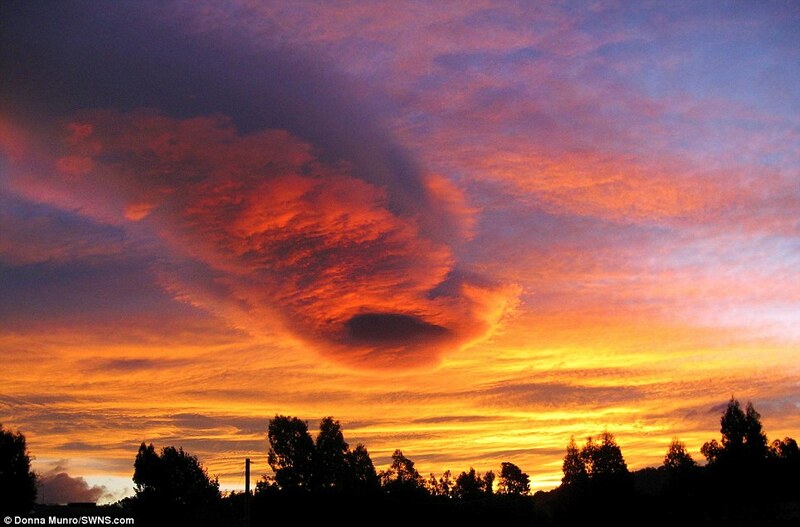 He said: “I just looked up in the sky and said ‘Holy crap. What the hell is that?’ I was absolutely gobsmacked. 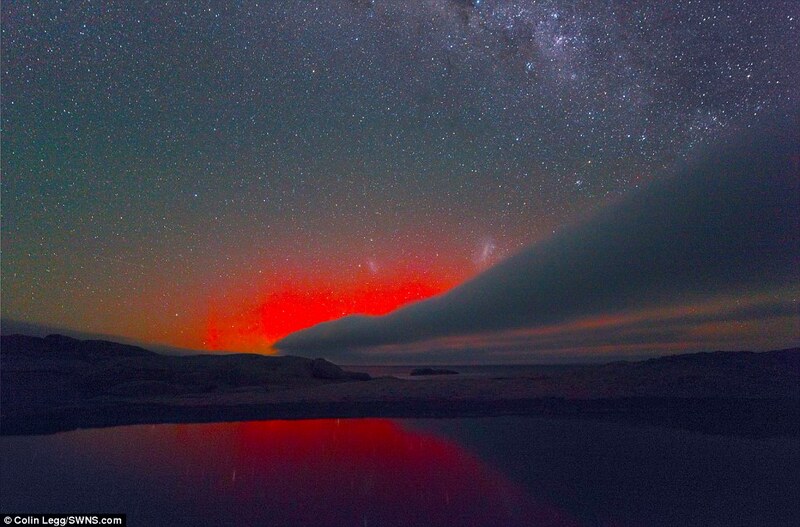 Colin Legg shot the Southern Lights, also now as the Aurora Australis, which is March’s featured photo. 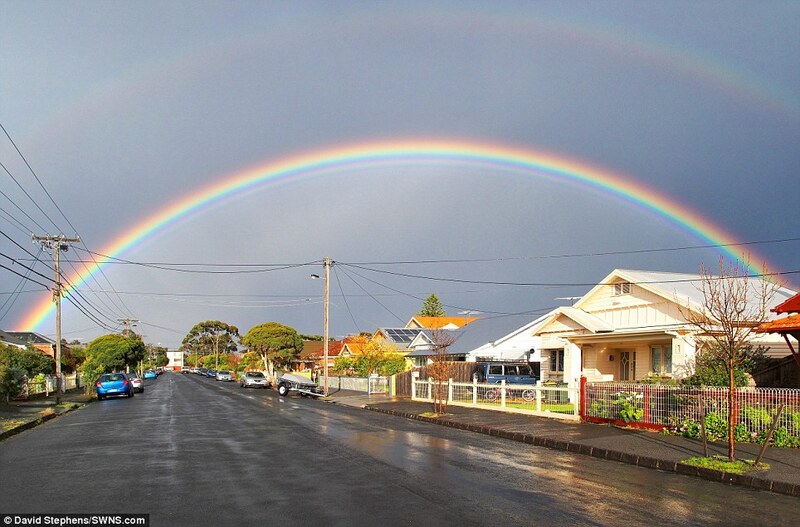 Named after the Roman goddess of dawn, the multi-coloured displays of light are rarely seen on the Australian mainland. The pink, red, purple and green colours of auroras occur when high-powered, charged particles erupted from the sun collide with molecules such as oxygen in the earth’s atmosphere. 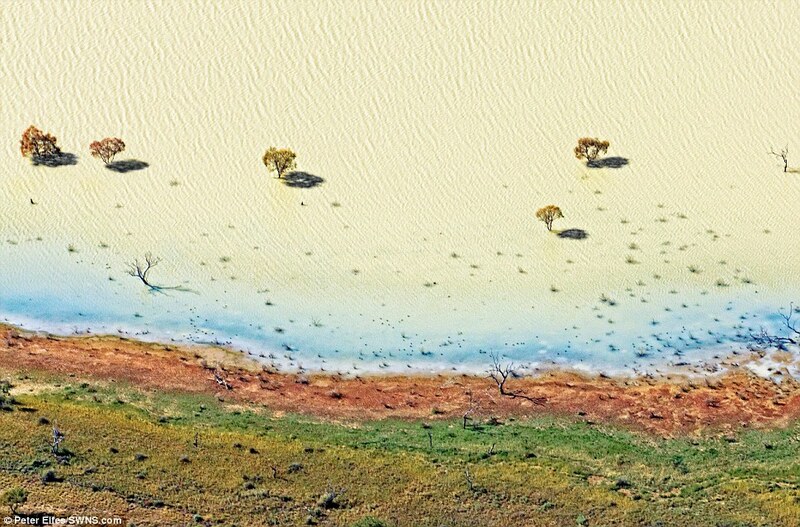 Colin, a geologist from Perth, said: ‘Everything has to line up. You have to have the coronal hole or solar flare, the moon less than half, clear weather, and you need Australia on the right side of the earth. ‘I actually got all the variations, first of all orange and yellow, then I got some green at the bottom, and then I got pinks and purples, and then at the very end I got red. Shorty Westlin captured the intimidating waterspout on Maloney’s Beach in New South Wales with his shot taking May in the calendar. 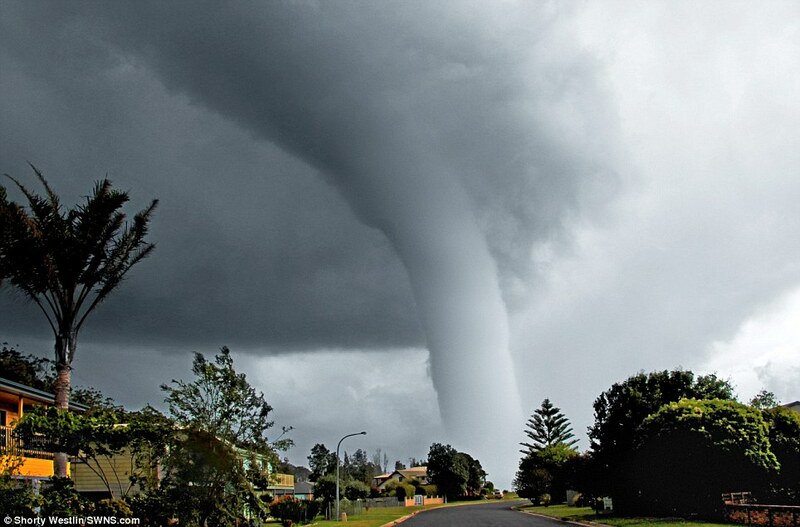 Waterspouts occur on the coast when cool, humid air is warmed as it passes over warm waters, and rises. In the right conditions, such as during stormy weather, the vigorously rising air can converge and tighten into a jaw-dropping spinning column. While waterspouts are not generally as violent as tornadoes and usually break down soon after crossing the coast, they can be a serious threat to boaters. The incredible calendar is produced by the not-for-profit Bureau of Meteorology and the Australian Meteorological and Oceanographic Society. 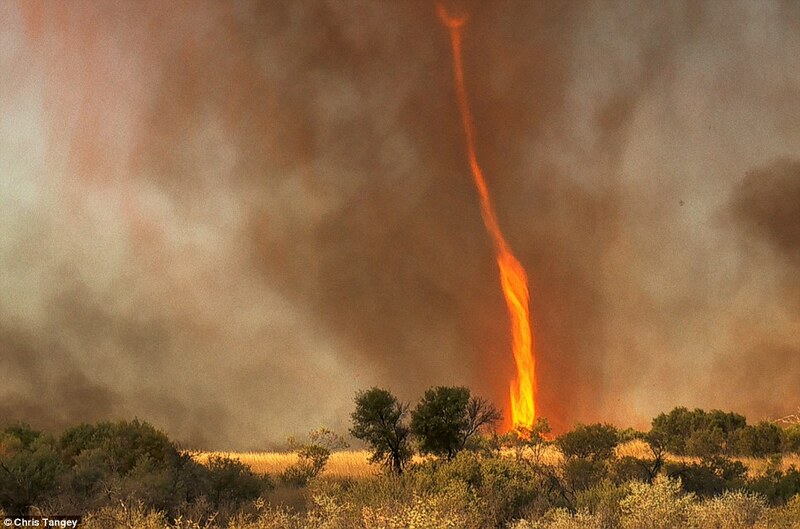 It also features a terrifying fire tornado which was taken in Alice Springs by filmmaker Chris Tangey and a dazzling lightning storm in Perth. 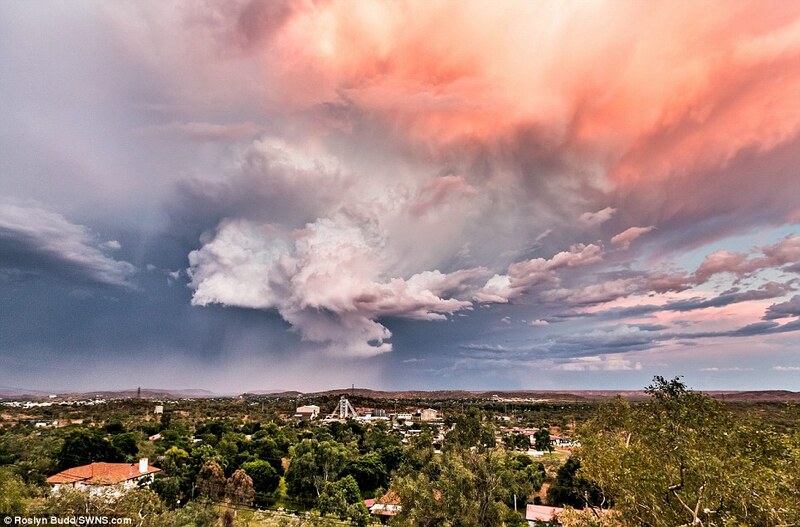 The images selected for the calendar represent each state and territory and aim to promote a broader understanding of the science of meteorology. More than 700 submissions were received in total for the hotly-contested photography competition, which celebrates its 30th birthday this year.